AustinFoodRatings.com | Your #1 source for unbiased restaurant reviews and ratings for Austin, TX. 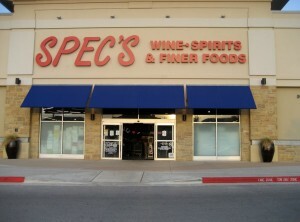 On the last Wednesday of every month, Spec’s at Arbor Walk hosts a FREE wine and food tasting event. Customers can sample many different red and white wines from around the world. Between tasting stations, you can cleanse your palette with some yummy snacks, such as: cheese, sausage, salsa, chocolate, and chicken salad. The event is enjoyable and a great way to unwind after a hard day at work! Even though the event is free, you can show your appreciation by purchasing a Riedel Wine Glass for $10. This event occurs on the last Wednesday of every month from 5:30 to 8pm.